We host course-planning guides where upperclassmen give advice on classes and Brown Bag Lunches (BBL’s) with M&T alumni. We invite companies like Blackstone and Morgan Stanley to hold simulations of corporate restructuring and IPOs. We establish lineages with M&Ts from all years and celebrate Thanksgiving together with our annual dinner. Who are we? We are your M&T Student Board, also known as the M&T Club Board, the organization that organizes and facilitates events, activities and resources for all M&Ts. The board is divided into three committees: Social, Corporate and Professional, each focused on a different mission. Many of the events listed above are “traditional” annual or semi-annual events that the M&T Club Board organizes every year under the different committees, but we are always open to trying new ideas in order to bring the M&T community together. For instance, starting last year, the Social committee of M&T Club Board created “Expert Workshops” where M&Ts could teach other M&Ts skills and share their talents and hobbies outside of class and extracurricular activities. The workshops had a wide diversity and ranged from learning how to fold paper airplanes, to learning about how the SEPTA transportation system works in Philadelphia, all the way to learning how to ice skate. Just this year, the Social committee also brought out the competitive side of M&Ts by introducing M&T Assassins, complete with customized light blue stress balls emblazoned with the M&T logo. Our more traditional events also provide a wide range of opportunities for M&Ts to grow professionally. BBL’s or “brown bag lunches” are casual events with M&T alumni that usually take place in the M&T office. Most recently, the Professional committee organized a BBL with M&T alumnus Kunal Ghosh, co-founder of Inscopix, which specializes in creating revolutionary technology in neuro-imaging so that medical experts can actually see how behavior manifests in the physical circuits of our brains. The Corporate committee also co-hosts the SIG Poker Tournament with Susquehanna Investment Group, an annual event where students compete with SIG staff members in poker to win awesome prizes like an iPad with Retina Display, XBOX+Kinect, and a Kindle Fire. Last year over 60 M&Ts attended and came to hear SIG Analyst Bill Chen, the two-time World Series of Poker champion speak about how the strategies of poker can be directly applied to trading. Essentially, we collaborate to put together a variety of unique activities that M&Ts can both enjoy and learn from, and we take pleasure in doing so for the benefit of the M&T student community. So far, being on the M&T Student Board has been an incredible experience. As one of the new members on the board, we’ve been able to pioneer some new and interesting ideas to bring not only M&Ts together, but also M&Ts and other students together. We’ve had a handful of really fun freshman class-oriented events, such as a freshman dinner at Tampopo followed by delicious popsicles from Lil’ Pop Shop, and an informal event to get together to prepare and decorate the M&T Freshman Class Time Capsule. In addition to turning the freshman class into a closer, more cohesive unit, the M&T Club Board has been working to organize an annual soccer game with the Huntsman Program—a longstanding tradition between the two academic programs. It’s great to be able to represent the M&T Program and cooperate with other talented individuals in order to do something fun. Additionally, to bring together M&Ts from all years, events like the Lineage revelation and the annual M&T Student-Alumni Reception at the Penn Club of New York have both showed the value of building new relationships and gaining insight into other people’s experiences. Furthermore, we’ve had a role in organizing an M&T Women’s Bubble Tea event, allowing the many females in M&T to interact and enjoy something delicious while getting to know one another. Being able to plan events like these and see the results are incredibly rewarding—it’s exciting to help people meet and learn more from each other. Even on the Board, it’s incredible to be surrounded by so many motivated, intelligent, caring individuals who want to bring the M&T community closer to each other and to their ambitions. Whether it be through social events, corporate events, or professional events, we on the M&T Student Board work hard to make whatever activities we plan the most useful, most exciting, and most enjoyable they can possibly be. Winnie is a current M&T sophomore in the Class of 2016 from Cherry Hill, New Jersey. 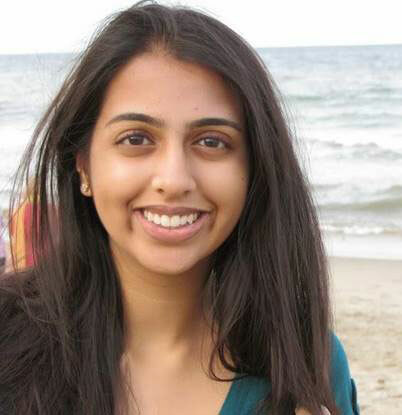 She studies Systems Science within Penn Engineering and has yet to declare her concentration in the Wharton School. 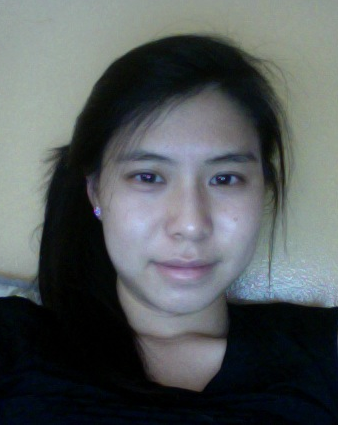 Ikshita is a current M&T freshman in the Class of 2017 from Plainsboro, New Jersey. She studies Chemical and Biomolecular Engineering within Penn Engineering and has yet to declare her concentration in the Wharton School.